The University of Utah values its relationships with its Grants sponsors. When a sponsor does not fulfill its obligations to the University, the University should be careful when setting up new contracts with that sponsor. A list of sponsors who are more than 120 days delinquent in paying their bills has been created, and can be viewed by following instructions below. The University’s “Research Project Sponsors with outstanding bills 120+ days list” is a secure form viewable from campus locations only. If you are on campus, click here to view the list. 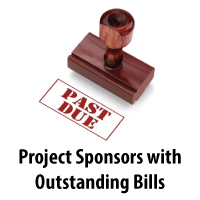 If you are not on campus, please fill out the form below to request that the University’s “Research Project Sponsors with outstanding bills 120+ days list” be emailed.